Amazing service. Was there happy to have us drop our car off 30 minutes earlier as we got there earlier nothing was to much bother our girls got lollypops given to us both when we dropped off the car and picked up our car friendly service helpful and a very short drive to the airport made life really easy for us with a family for sure great price to easy place to get to and not having to deal with the airport carpark was a great bonus. Thank you once again we will back when need to leave our car go away when we need to fly again. Great service. Convenience without hassle. Shuttle always a phone call away. I have been using Park n Depart for a year and a half now and just simply wouldn't go anywhere else. Raj and his team are there no matter what time of the day or night. Many of our friends and family now use them to. Efficient and cost effective - highly recommended. We love Park N Depart. They are easy, convenient and always friendly. You never wait very long for pickup on return and it's really close to the airport for all your airport trips and holidays away. Thank you for such a great service and the quick shuttle to and from our car. You guys are great! I have used this service 4 times recently and have continued to be very impressed with the service. They have not let me down at all, in fact on one occasion the van driver waited for me when I was running late dropping off my car. A quick phone call secured my ride to the airport and I made it on time, all very close. Grateful thanks. Excellent service. We dropped the car off and were ferried to the airport in time for our flight. When we returned four days later, they were waiting at the airport to pick us up. Even hosed our car down before we left. Highly recommend this streamlined service. Outstanding service and went the extra mile to help us. After a rough start to our trip due to a missing passport Raj was exceptionally helpful and understanding. He was not only accommodating of our changing circumstances but offered helpful advice as to how to fix our problem. We arrived back in NZ late due to flight delays and although early in the morning we were picked up promptly and our car was ready to go. You won’t find better, more affordable or more convenient car storage and shuttle service for Wellington Airport. Thank you Raj. Can not fault this crowd. Raj and his team are phenomenal. Glad to have tried them, otherwise would never have known. Will continue to use them. Thanks Raj... keep up the good service! Excellent service & great rates. Close to the airport & easy to find. So glad I've discovered this service. They're a great team. I fly at least once but often twice a week. Raj and his team offer fantastic service, always reliable and always efficient. Highly recommend Raj and his carpark. Always available, great price and absolutely fabulous service! I've used this service on 3 separate occasions and every time the service has been excellent! thank you so much for your polite service, and even returning late was no problem. Being an older women on her own I was a bit nervous , but their was no need to worry. Everything was great. Would use you any time I travel. You are a great welcoming team. Great service. Raj is a very polite and respectful person. I really loved how he has thought of this idea and how is business is growing rapidly. I really recommend this business for everyone who travels a lot. I have used Park n Depart on several occasions. Raj and his team are always polite, friendly and prompt with their service. I plan on using them every time I have to fly! Thanks so much. Always availabel for pick and drop off, thanks for the service. Raj runs a great service . Great pricing and very efficient. Everyone was very helpful with getting bags loaded and unloaded and also helped entertain my children while I sorted car seats etc. Highly recommend this service and will definitely be using again. Thanks Raj! Raj is extremely efficient and runs a top notch service. Have used his parking facility several times now and wouldn't go anywhere else. Thank you Raj and your team! Raj and the team at Park 'n Depart have always been most helpful. They ensured I made it to the airport on time when I was delayed and arrived late to drop off my car. Very efficient, wonderful customer service. Competitive prices, I always use Park n' Depart. Absolutely excellent. Raj was totally switched on and dropped me off and picked me up at the right times. No waiting around. Would highly recommend this service to everyone. Will use this service every time now. First time I have used Park and Depart. Booked over a weekend. Impressed at the service. Recommend to others as it's convinent and quick service. Also my car was clean when I collected it. Thank you to Raj and the team. Keep up the good work! Thanks so much Raj! For your amazing, helpful, friendly, easy service! I highly recommend to all Park n Depart! Thank you for going out of your way for us when we were running late for our flight and you were happy to help and meet us at the airport with no fuss and no extra cost! Can't wait to use you guys next time we travel! Thanks again Raj and the team! These guys are great. Good prices and friendly service. Left 3 of our cars with them over Christmas. Wife dropped car off at wrong place and these guys arranged to pick it up and take to their yard ( NO EXTRA COST) We returned to Wellington last plane in, cold raining 14 adults and 7 kids and they meet us at the airport, took us all in 2 vans and cars were parked up in a line ready for us to load and go. Top notch guys. Well done. Will use you again. Thanks so much Raj for going out of your way to provide exceptional service everytime. You are an absolute pleasure to deal with and you make it so easy and hassle free. Fantastic service, fast & efficient. Raj is extremely helpful, a delight to deal with. Had our car groomed & waxed, hasn"t looked this good for years! Thank you Raj & your team, we recommend you & your professional service without reservation. We will be back for sure. Fantastic service and great experience. Very reliable. No fuss and very stress free. I highly recommend using his service. Room enough to store our van and trailer - outstanding! Professional manner of Raj is a refreshing change from the typically disinterested attitude of long term parking operators we've used elsewhere in the country. Thanks Raj, we'll be back. Raj offers a fantastic service second to none!!!! Great service on top of great price and secure parking. Plus quick drop off and pick up at no extra cost to Airport. Came back to car waiting to go. Will recommend to friends and family. Keep it up Raj and co, well done. Great service just booked again for the fourth time , we find it hassle free. Excellent service! Efficient, friendly and a great price. Highly recommended. Excellent service and very friendly staff. Will continue to use this service and highly recommend to all. Also had our car washed and waxed and they did a superb job....car looked good as new! Very convenient location and always on time pick up and drop off. Thanks Parkndepart! Amazing service and at a great price. We were so well looked after we couldn't believe it. Dropped car off and it was parked and cared for while we were away 3 days overseas, on arrival we were picked up and taken back to base where our car was waiting for us. What more could you want. You can trust this firm more then you can trust yourself. Will defiantly use again on our next trip. Thank you so much, its a credit to you all. Service plus. Very happy with my sparkling car, thank you for your prompt, friendly, efficient service, a niche well-delivered! Wlg Airport long term parking for 3x days = 59.00! I am so glad I did a bit of research online and found this place that charges 50% less! Location is not far from the airport but they still shuttle you to and from airport anytime of the day or night at no extra cost!...Great Friendly Service!...This is the first time we have used this service and will definitely be in touch next time we travel. We have used your company many times when flying from Wellington Airport. I would like to say thank you for the wonderful service that you provide. On arriving in Wellington last Thursday morning at 4 am after driving from Palmerston North you were awaiting to take us to the airport and to arrive on time. Whilst away the lovely wife did clean the car for us inside and out and as always did a great job. Coming back at midnight on Monday evening freezing cold as it was there you were waiting for us again. Raj you are great and we will spread the word. Reliable and friendly service, highly recommended!! I highly recommend this as a parking option for short or long term parking- pricing second to none, friendly and professional service, and each time my car gets a quick clean on the outside when I pick it up from the depot. I only found this service through all the airport parking full over the school holidays. I am glad I did this will be my regular parking from now on. Thanks Raj! Service with a smile and always on time. Highly recommended, safe and secure location. Professional, reliable and cheaper than the competition. Totally using this the next time we travel. Raj's has an excellent service - HIGHLY recommended. Excellent service, highly recommend to anyone. 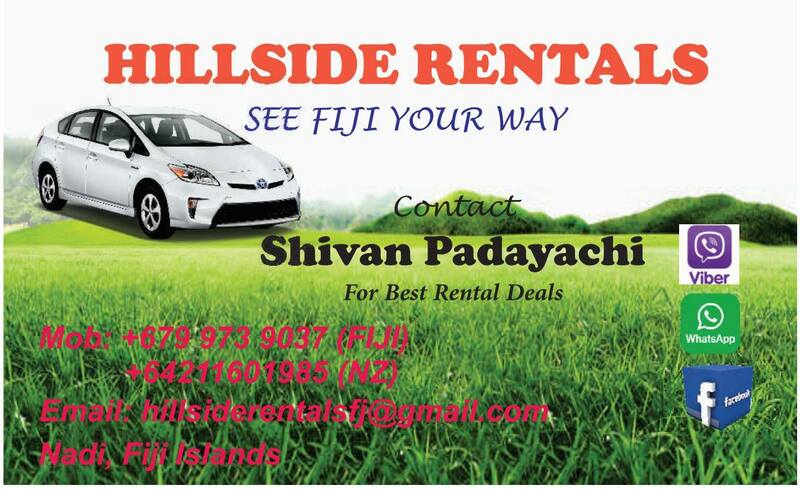 Raj provides an amazing service providing either undercover or outdoor parking cheaper than the airport and his shuttle service is quick and reliable, drop off is instant and on arrival only a phone call and he will be there in a few minutes . We would recommend this as an option if you require airport parking. Thanks for the fantastic, friendly and affordable service Raj! Raj went out of his to wash and wax my car with a new product after wax from a car wash had left my paint work streaky and faded. I came back to a sparkling car! Definitely recommend this service and I have already booked in for another trip away. Honest and reliable - Raj is a great person to deal with. I will definitely use the service again. We will definitely use this service again and have already recommended it to others. We loved the personalised service, the peace of mind knowing that our car was secure, the shiny vehicle on our return and dad's little helpers were pretty cute too. Oh and don't forget the cheaper rate! Thanks again Raj! Excellent service , on time and most welcoming. Excellent car grooming service offered. A pleasure to come home in a gleaming fresh car. Recommended. Excellent prompt service with a friendly smile! No hesitation in recommending to anyone who is looking for parking at the Wellington Airport. We were very happy with the service. Fast and efficient and very reasonably priced. Have used twice so far and will be using again, Fast and friendly service. And I hardly recognised my car after it was groomed last week, taken care of whilst I was away which was very convienient. We couldn't have asked for better, friendlier service. Raj delivered and collected us from the airport. We asked him to photograph our driver's licence we had left in the car which he forwarded on at no extra charge and hosed down our car. Thank you Raj. Best wishes. I've used Raj twice now, he is always efficient, and friendly. I would recommend him. Awesome service! Was early on departure and arrival. Definitely recommend to anyone who wants long stay park. Thanks Raj for your super friendly service! Great service very reliable and safe. Great service and flexible too if your timetable changes. Recommended. 5 stars to Raj and his team for cleaning my car. Got a good deal from Grab One for an external car wash - really happy with the service, car came out looking shiny and new! Raj was friendly and professional, will definitely use again. What a great service Raj provides. Friendly, efficient and helpful. Can thoroughly recommend. It's time Wellington had some competition for airport parking, this is just what we need. This is just what Wellington needed! Raj does it so well too. I keep using this service as it is so excellent. excellent service. Will definitely use it again and would like to recommend it to friends. Raj consistently goes over and above to deliver great service. Highly recommend to anyone. Excellent service. Highly recommend this service. Raj is a very friendly, efficient and professional proprietor. Spiral drillers has used the services raj provides for parking and pick ups , drop offs etc numerous times lately. He is professional and efficient. We will not hesitate recommending his company to anyone. Cheers Raj. Raj provides an excellent service; it represents very good value for money. We were away for 5 days and used a “Grab One” voucher. Even without the voucher, I would certainly use this service again. They were professional, convenient and easy. We arrived home late at night, as we were exiting Customs I phoned Raj and he met us outside the terminal within 5 minutes…brilliant. Raj and his team are fantastic. What a brilliant service. Excellent value for money and it takes all the stress of trying to find a park at the airport away. Plus it is WAY cheaper than the airport parking. They even offer a car cleaning service, my car looked like it had come straight out of the showroom. Awesome service. Thanks Raj!! Wow. Like wow. Shuttle tidy, car well looked after and Raj made the whole experience of getting to and from the airport smooth and calm (normally I'm freaking out) but they are so organised. When it was time to come home, made a phone call, didn't even wait 5 minutes and the shuttle was there. Very impressed with service, price and just general nice-ness of Raj. All the best and will probably see you again soon! 150% recommended! Raj was very easy to contact on his cell phone when I made the booking from Palmerston North. On arrival, he assisted my family ( we had a baby capsule and a 11 month old baby with my wife) to shift to the shuttle with our luggage. He explained us the on arrival info and at the airport again he was very helpful. Upon arrival from our trip away at Wellington airport he was readily reachable and was genuinely sorry for my wife's lost Iphone. We had a good chat about his business and how he is starting out and I complimented him on his sincerity, hard work and committment to help passengers. I wish Raj very best for his business and will certainly use his services again when I next come to Wellington Airport. Raj is amazing! Great service and always so accommodating, I couldn't speak higher of the service and the friendly owner, Raj! Fabulous service that's been much needed in Wellington. Thanks Raj - will see you next time! Handy, friendly and prompt service comes with a good rate. Left my car for cleaning and when we were back it was shining. Thanks Raj. Will tell my friends. See you next time. Excellent service. Thanks Raj for being accommodating and going above and beyond to make sure we don't miss our flight. Will definitely recommend you to people and will use you again. Thanks Raj for a great service, will use you again. Very good service. Efficient and friendly. We used Park n Depart in September 2015 for uncovered parking and found their service to be great. Friendly guy running the place. Didn't have to wait at all for the shuttle to leave their depot for the airport. On our arrival back in Wellington, we waited around 10 minutes for them to come pick us up so not long at all. On arriving back at their depot, we found that they had parked our vehicle in their secured, covered parking! Thanks Park n Depart - will use you again for sure. Great service, will not hesitate to use Park n Depart again in the future. Very friendly and professional service, thank you Raj. I took note of the mileage (as i'm sure some do) out of fear my car would be used as a runaround, and was happy to see it hardly budged. Top service, highly recommend! Forget 5 stars where's the 10 star option? Raj is seriously the man. We have parked and departed with him once before and tomorrow is our second experience - to be fair we are more excited about seeing Raj again than the trip itself. World class service, picked the ute up cleaner than when we brought it brand new after the valet service we paid for. Always on time, super friendly and the man has more than one wife - he is THE MAN! I got a Premier Car Groom and and very happy with the results!! Bought the car through a trade in dealer and was pretty shabby and Raj made it look like brand new. Thank you so much! I'd bought a GrabOne car cleaning deal - Raj did it today - old car that looked grubby - now its brilliantly shiny and no longer looks 15 years old - very good deal. Thanks Raj! First time using ParkNDepart service through a Voucher deal. Easy to find, Raj was waiting for my arrival, valet parked my car & quick drop off at the airport doors. Very satisfied with this service & price too. Have booked our employees parking when away with work commitments. Best of all to have the personal service with Raj the owner, rather than a machine or prerecording. We have used this service twice and on both occasions have been very happy with the service Raj offers, he is pleasant and efficient. We will be booking in again very soon. Thanks Raj. We were very impressed and happy with Park N Depart. Booking online was a breeze and a bargain, Raj was there waiting for us as he said he would be, then took us straight to the airport. The drive to the airport is 5 minutes if that. We experienced the same seamless service with a smile on return. We simply texted Raj and he was there to pick us up. Not only great service but a really enthusiastic, genuine business owner with a passion for what he does. Will be booking to use Park N Depart again next week. Excellent service. Raj very helpful. Will happily use this service again. Great Service, and at a good price. I'll definitely use again. Thanks Raj! Parked for one week. Excellent service from Raj. Highly recommended! Thank you. Awesome service, was good not to worry about the car and better yet was awesome to come back to a clean car. Thanks Raj, c u soon, definitely using you for all my future travels. Great service, timely drop off and pick up. Car was all washed and waiting for us upon our return. Definitely use again. A great service and well priced. Friendly and efficient. Will have no hesitation using in the future. I have used park n depart several times now and always found great service from Raj. It has been such a relief to find a well priced park and ride service in Wellington, and the prompt drop off and pick up is an added bonus. First time user. Fantastic service will definitely recommend, Friendly, punctual, affordable. See you again soon Raj. Raj. Very professional and always makes his timings, excellent friendly team i will definitely be using this service again, absolutely no complaints, aces! Raj went over and above with his customer service to ensure made the flight on time, was punctual on collection from the airport on our return, and did a great job of storing and cleaning the car. Highly recommend this friendly service. Great service, car came out looking fabulous all fresh and clean. Raj was very friendly and would definetly recommend to others. Great, friendly service. Very messy car came back looking like (and smelling like) a different car! Also found me two replacement hubcaps at a very reasonable price. Will definitely visit again. Did a car grooming and very happy to see it came out well. Awesome service. Raj is a lovely guy, really friendly and easy to deal with - decided to give my wee baby a pamper while I was away so got the valet service as well and came back to a car almost better than new - looked good and smelled wonderful - did a great job!! Will definitely recommend and use again! Lovely friendly guy. Will most certainly use this company again and also will book in for a car grooming service while away next time. Its the best my car has ever looked. Like picking up a new car! Amazing service and such a nice guy. Thank you so much Raj. My car looks amazing. Friendly and great service. Will definitely use again and highly recommend. Fantastic valet services. My car looked like new when I picked her up. The service is great and friendly. Highly recommended. Excellent Job - my car looks and smells brand new ! Raj gave me excellent service and was friendly and hard-working ! Thanks again - will definitely be bringing my car in again !! Quite amazing!!! The shine is like looking in a mirror. They even buffed out my damaged bumpers. I thought I was gonna have to take it to a panel beaters to replace bumper. But not now! Thanks to Raj & Reshni.